Private trout water, close proximity to National Forests and big-game hunting, combined with an attractive 5,870 square-foot custom cedar home on a well located 120-acre parcel of land afford this exclusive property a nice sense of place. 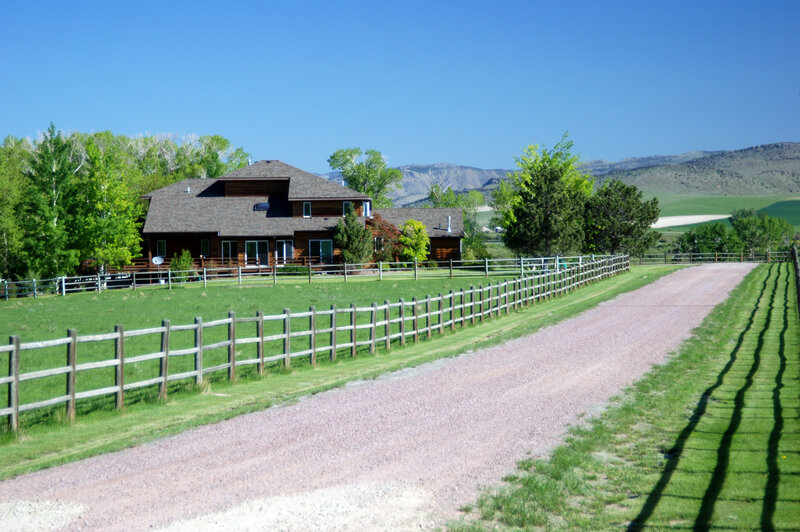 A very private willow-lined stretch of South Willow Creek meanders through the Estate for about one-half of a mile will provide the next owner of this Montana ranch for sale a true sense of privacy and seclusion. 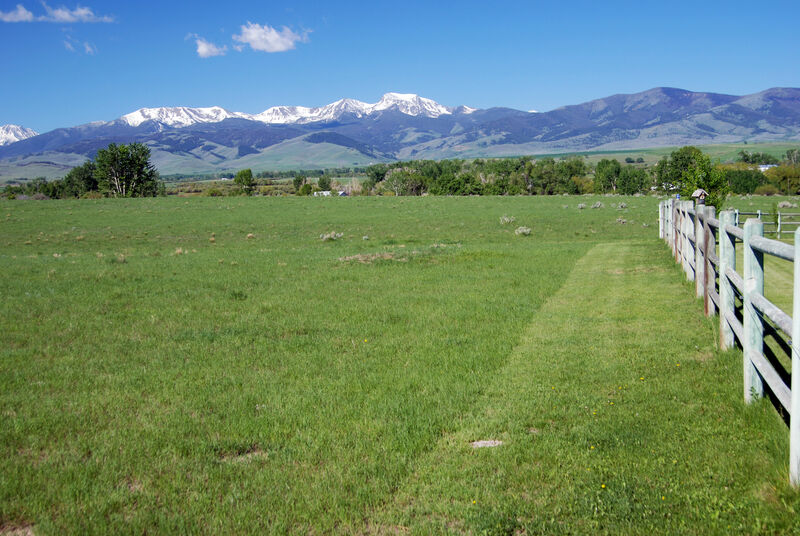 A pleasant 45-minute drive from Bozeman, this exclusive Montana real estate property can be purchased for a fraction of similar properties located in the Gallatin Valley. 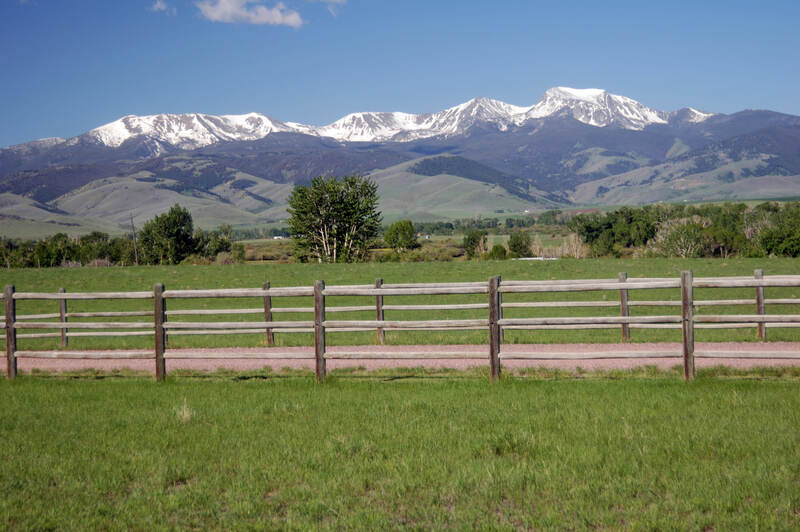 Breathtaking views of the Tobacco Root Range and Hollow Top Mountain further enhance the ambiance of this gentleman’s ranch or recreational retreat. 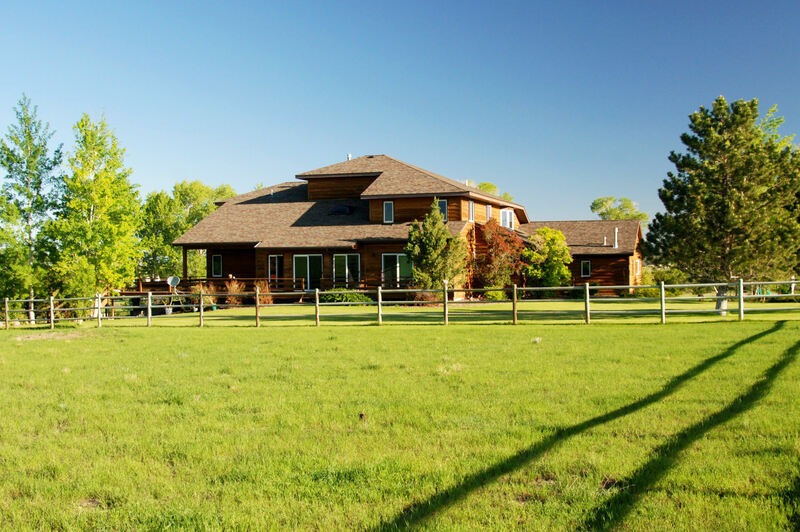 This enchanting ranch for sale is located in one of the last real ranching areas left in Big Sky Country, the South Willow Creek Estate provides a feeling of solitude and safety in beautiful Southwest Montana. 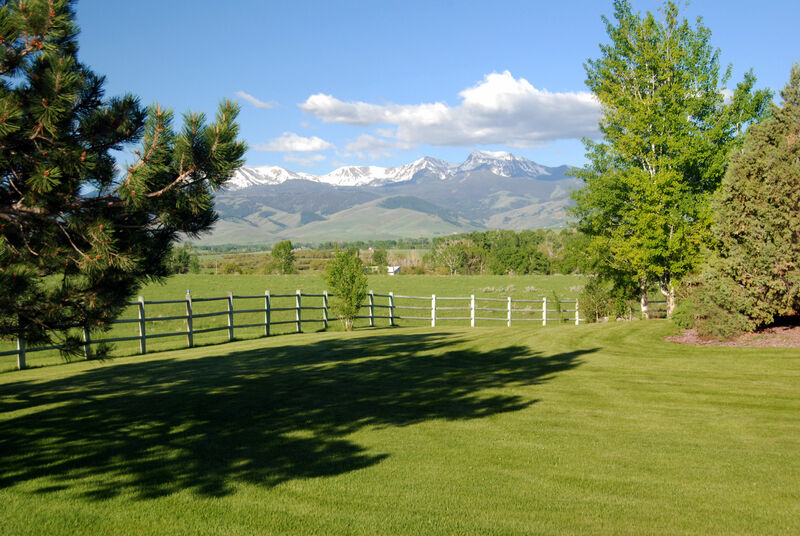 The South Willow Creek Estate is located about one mile east of the rural ranching community of Harrison, Montana. A well-maintained graveled county road off of U.S. Highway 287 provides good year ’round access to the Estate. Harrison is a classic small ranching town with a gas station, grocery store, a post office and small café. Three Forks is about 20 minutes to the north and provides a variety of services. Ennis is also a very comfortable 25 minute drive to the south on U.S. Highway 287. The small town of Willow Creek – home of the famous Willow Creek Café, is about 15 minutes from the Estate. 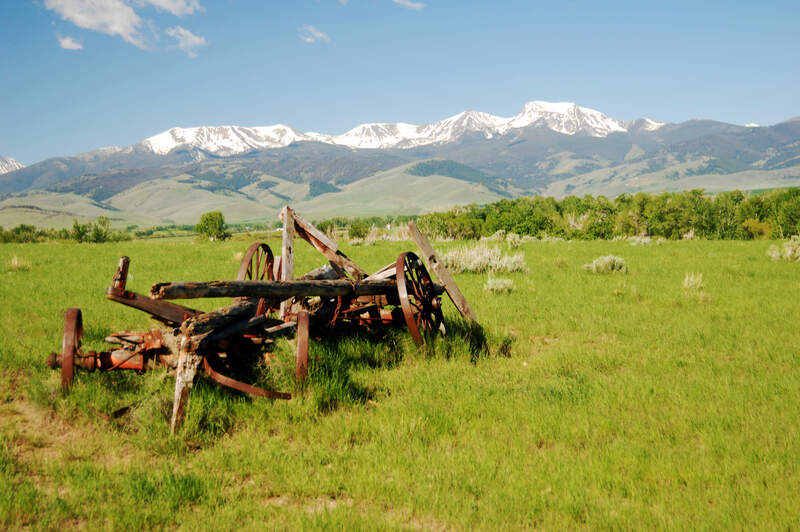 Bozeman is a comfortable 45-minute drive and has all the amenities of a big city – shopping, theater, museums and an airport with direct flights to San Francisco, Dallas, Chicago, Los Angeles, Atlanta and New York. Bert Mooney Airport, Butte – Delta, Sky West. The Seller will convey with the Estate 100% of whatever mineral, oil, gas, geo-thermal, hydro-carbon and gravel rights it actually owns, subject to reservations by previous owners. The Seller makes no representation as to the quantity or quality of any mineral or other subsurface rights appurtenant to the Estate. South Willow Creek Estate sits between 4,950 and 5,000 feet above sea level. The average annual precipitation is 16 to 18 inches. The average growing season is approximately 100 days. Average maximum Fahrenheit temperatures in June, July and August range from 68 to 80 degrees. In December, January and February average maximum temperatures are between 32 and 37 degrees. Summer nights average about 45 degrees. Winter average minimum is between 12 and 16 degrees. There is plenty of sunshine throughout the year. Electricity is provided by Northwestern Energy. Telephone service is provided by 3 Rivers Communications. The Home is on an individual well and septic system. The real estate taxes for 2011 were about $1,665.00, approximately $2.00 per acre. This beautifully landscaped and tastefully designed home was built in 1988 and has an open floor plan for entertaining. It contains about 6,100 square feet. Extensive upgrading was completed on the home from 2008-2011 which included new flooring, numerous new fixtures, paint and overall upgrades. Thoughtfully situated on the property, this two-story home provides exceptional views from every room including the full walkout daylight basement. Five bedrooms and four and a half baths provide ample room for visitors and family members. The master suite is located on the main floor and features walk-in custom closets with separate dressing area, a tiled shower and an oversized soaking tub. A stunning stone wood-burning fireplace and vaulted ceilings highlight the expansive great room. A full wet bar with access onto the outside deck creates a genuine sense of place in the Big Sky Country and frames a comfortable atmosphere to entertain. The spacious kitchen contains two full sinks, a convection wall-oven, gas Jenn-Air grill cooktop and trash compactor. The custom pull-out pantry and appliance garage combined with the lazy-susan provides plentiful storage space. This beautiful home is complimented with a south-facing sun room and a 14′ x 7′ swim spa and Jacuzzi for relaxation after a strenuous day of outdoor recreation. Tremendous views of the Tobacco Root Mountains can be enjoyed from the decks and stone patios which are surrounded by the beautifully manicured landscape complete with an underground sprinkler system. The hunting and fishing tales run rampant as family and friends enjoy the outdoor fire pit accessed from the rec room in the daylight basement. The oversized three-car garage is large enough to fit several full-size vehicles and a complete line of recreational toys. The home is heated by a propane-fired boiler and culinary water is provided by a well. A central vacuum system is also included. Since being settled after the gold discovery in Alder Gulch in the late 1860’s, the Harrison area has remained predominately livestock and agriculturally based. With booming populations located in the mining towns of Butte, Virginia City and Pony, Harrison soon became a prosperous town, supplying the miners in these booming towns with beef, vegetables and dairy products. The town was named for Henry C. Harrison, a rancher and horseman who settled in the area in the mid-1800s. The Harrison Ranch was known for its prized dairy, Shorthorn cattle and Morgan horses. With this new “get rich quick” prosperity, the railroad punched a spur line into the town of Harrison to haul supplies to the growing area and to transport agricultural products to neighboring towns. By the early 1900s, Harrison had grown to support a hardware store, hotel, saloon, machinery dealers and a lumber company and became the area’s commercial center. South Willow Creek provides good trout water combined with habitat for upland game birds, white-tail deer, mule deer, and an occasional moose. The riparian corridor has been fenced off from cattle grazing which has greatly enhanced the quality of the fishery. The Tobacco Root Mountain Range, located a few miles west of the Estate, provides first-rate access to big game hunting as well as river, stream and high-mountain lake fishing. The Madison River is only minutes away and provides trophy brown and rainbow trout fishing. In addition to the highly renowned recreational opportunities available in the immediate area, the close proximity to the Gallatin, Madison and Jefferson Valleys provides for outstanding access to a variety of additional fishing, hunting, skiing and other recreational opportunities. For the horse enthusiast, the Beaverhead-Deerlodge National Forests provide easy access into the Tobacco Root Mountain Range. For those seeking winter activities, Bridger Bowl Ski Mountain is just over an hour drive, and Big Sky is about an hour and a half away. Discerning anglers need only to peruse a map of Southwestern Montana to realize the plethora of opportunities within a short drive of the Estate. The Madison, Jefferson, Gallatin and Missouri Rivers are less than an hour’s drive away. Within a ninety-minute drive the Yellowstone River along with Idaho’s Snake and Henry’s Fork Rivers are readily accessible; not to mention an abundance of regional mountain lakes and streams. This area is surrounded by some of Montana’s most desirable recreational areas and picturesque mountain ranges with the Beaverhead-Deerlodge National Forests located eight miles west of the Estate. National Forest Service trailheads can be accessed just west of Pony. 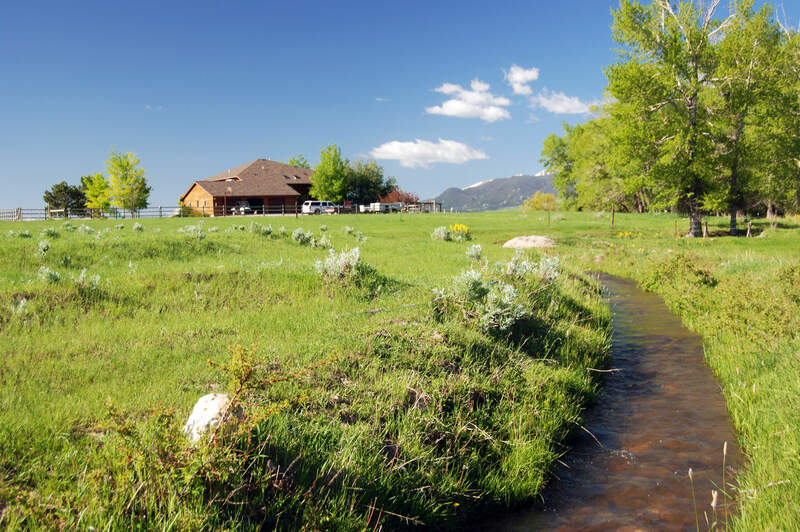 The South Willow Creek Estate provides hard to find live-trout water, attractive views and close proximity to Montana’s outdoor activities. With short commutes to Bozeman, Ennis, Helena and Butte, this place is ideally located for either a family retreat or permanent residence. The Estate is easy to operate and provides enough ground to pasture several saddle horses and a few cattle to manage the grass on about 115 acres of pasture ground. The Seller has constructed a very well built and functional set of corrals on the Estate. They estimate that the pasture could carry about 150 head of yearlings for four months during the summer. Healthy stands of cottonwood trees, quiet groves of quaking aspen and beautiful willow clusters all combine to create a private, intimate setting. Except for several water access points, the stream bottom has been fenced off from grazing with electric fence. South Willow Creek is a sparkling mountain stream which not only provides solid irrigation water rights but also possesses wonderful potential for enhancement of trout habitat. 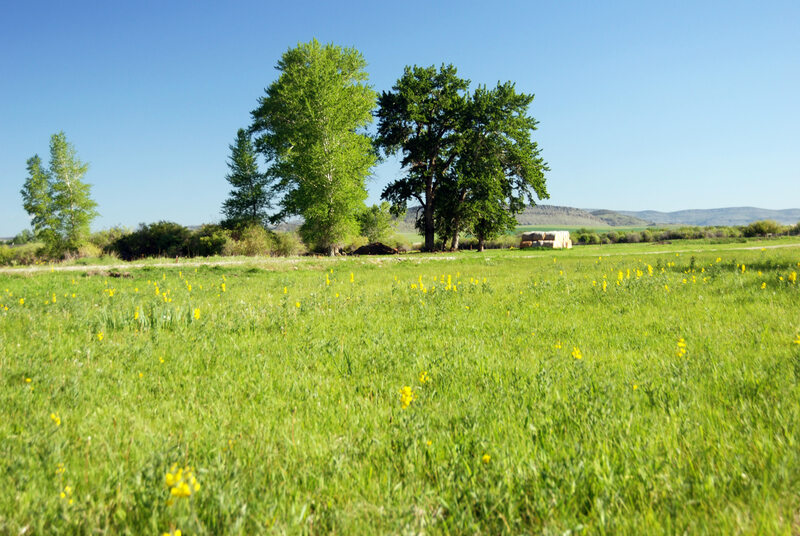 Water rights out of South Willow Creek will be transferred with the Estate and would afford its next owner the flexibility of irrigating existing pastures. The elegant custom home is a comfortable residence with ample space for visitors. 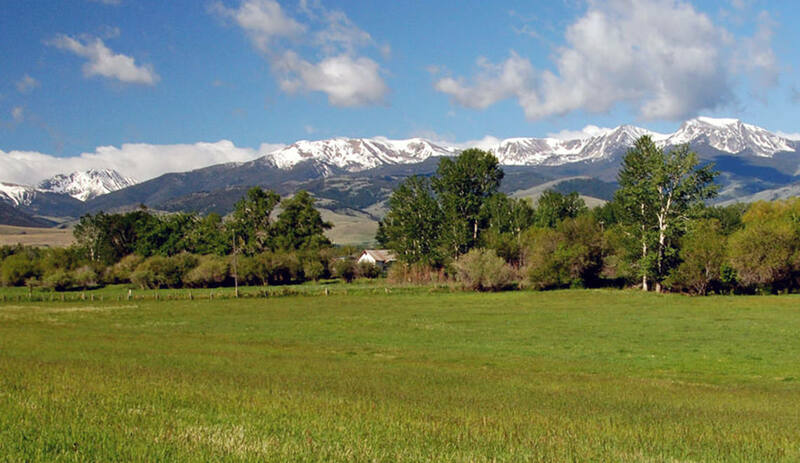 The South Willow Creek Estate offers the enjoyment of living in one of Montana’s classic small communities with plenty of opportunities to recreate on the property or nearby mountains and streams. Additional acreage may be purchased – please inquire with Michael Swan, the Seller’s agent for more details. 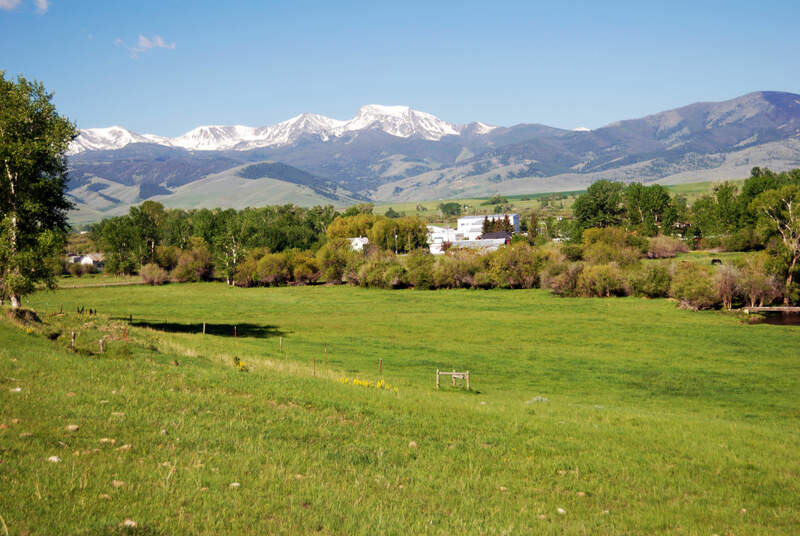 Those who have watched live-water property values in Southwest Montana for the past several years will find the South Willow Creek Estate to be very competitively priced in today’s very active market. The Estate is being offered for sale at $1,175,000. South Willow Creek Estate, as previously described herein, is offered in its entirety at $1,175,000 Cash. The 6,100± square foot home and approximately 20 deeded acres could be purchased separately for $650,000 Cash – please contact Mike Swan for property division details.